Ray Rice video: An AP report is not enough—we need video proof of an NFL executive watching the Rice video. 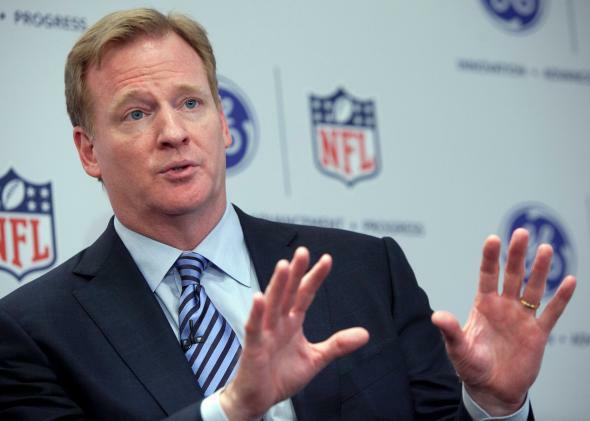 An AP report is not enough—we need video proof that an NFL executive watched the Ray Rice video. Hold on, folks. Let’s not jump to any conclusions. Yes, this looks very bad for Goodell—according to various wags on Twitter, the commissioner might even get fired from his job as the league’s top man. But shouldn’t we wait for the NFL to look into it? At this point, it’s impossible to know whether the commissioner was lying. Until we see a clear video of an NFL executive watching the Ray Rice elevator video, how can we know what really happened? Let’s remember how this Ray Rice situation played out. Back in February, Rice punched his fiancée in the face in an elevator, knocking her unconscious. But we didn’t know that then. 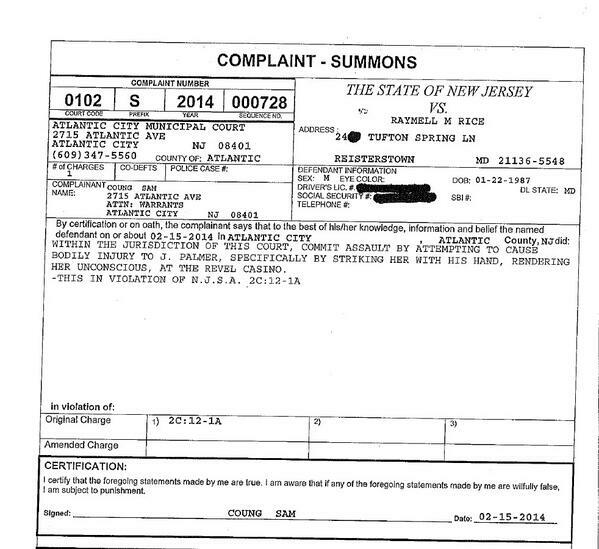 All we knew was that, according to the police complaint, Rice committed assault by “striking [Janay Palmer] with his hand, rendering her unconscious, at the Revel Casino.” We also knew that Atlantic City police had reviewed surveillance footage showing “a physical altercation.” And on Feb. 19, TMZ released a video shot from outside the elevator that showed the Ravens running back dragging his unconscious wife across the ground. Where did that leave us? There was a police report saying that Rice punched Palmer and knocked her unconscious, and it was written by people who watched video of Rice punching Palmer and knocking her unconscious. There was also a video, released to the public, of Rice dragging an unconscious Palmer across the ground. How could that possibly add up to Ray Rice punching Palmer and knocking her unconscious? Where was the evidence? Until we had the full video of Rice punching Palmer and knocking her unconscious, we couldn’t know how exactly she got in that state, or whether Rice might have been the true victim. Thank goodness we waited until we saw Rice punch Palmer to pass judgment on what he had done. Hopefully we’ll show similar forbearance in the case of Goodell. All we have at this point are a number of reporters who insist that they were told by league sources that the NFL saw the tape, plus this new report that the league office confirmed, via voice mail, that it had received the tape. So, not much at all, really. Certainly not a video of any of these alleged interactions. The NFL says it’s looking into all of this. Let’s wait and see what they find out before we rush to judgment. If they find footage of Goodell watching the video and saying, “I am watching the Ray Rice elevator video” while holding up that day’s newspaper, please let me know. Until then, he has my full support. Or maybe he doesn’t. I’ll wait until I see video of myself endorsing Goodell, and then I’ll tell you for sure.